Packing for your first trip to Japan can feel like an overwhelming task, maybe even a bit scary. We’re here to help with our top 12 things to pack when traveling to Japan. 1.) Get a smart travel card like Suica. Smart travel cards in Japan allow you to pay for your fare on almost any kind of transport. Simply swipe your card over the ticket gate when entering and exiting the station and the correct fare will be deducted. No need to queue at the ticket machine to buy a ticket, find the right fare and try to find the right amount in coins. A travel card makes travel fast and convenient. Each region in Japan has its own card, the most well known are Suica, Pasmo in Tokyo and ICOCA in Kansai. Cards can be used interchangeable nationwide so you only have to pick up one. Have a detailed post about Smart travel cards in Japan. 4.) Pocket WiFi – keep using the internet just like at home. High speed with unlimited data, Pocket WiFi in Japan will keep you connected all the time. Whether it is to check your messages, e-mail, social media, watch Netflix, or do some work, it is all possible. One Pocket WiFi connects to up to 10 devices, so sharing the connection is easy. It will also save you a ton of money compared to roaming with your smartphone. 5.) Power plug. Japan uses a “type A” 100 Volt, 50-60 Hz adapter with two flat pins, similar to Canada and the US. 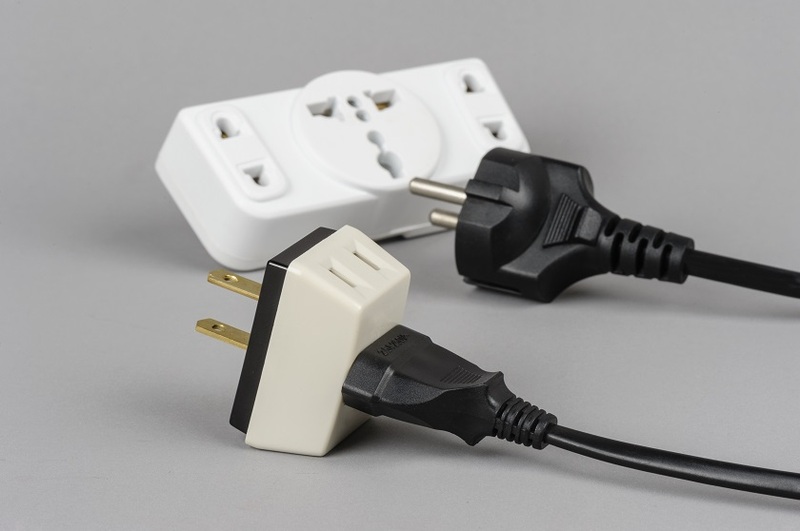 If you’re coming from a different country, then we recommend bringing your own adapter plug. If you come from a country where a higher voltage (e.g. 220 volts) is the norm then check if your device can be used on 100 volts. Most travel devices like smartphones, laptops and tablets are built to work on a range of voltages devices like hairstylers, dryers and bigger appliances may not – be sure to check before using them in Japan. You can buy a transformer to change the voltage if need be. 6.) Easy shoes – No shoes in the house! That’s the norm in Japan when entering houses. Bring a pair of easy to take on and off shoes. As you’ll be taking them on and off a lot in Japan. Not only is it rude to wear them inside a home, but other buildings you may be visiting like temples, castles, and even some restaurants also don’t allow for shoes inside. 7.) Small gifts – bring some small gifts from your own country. Traveling in Japan, you’ll be sure to meet locals and new friends along the way. Giving a small token from where you’re from will go a long way. This can be as simple as some local sweets, candy or cookies. You’ll fondly remember and who knows what you may receive in return. 8.) Back up cash – put some Japanese Yen in your wallet before you depart. Just in case your card does not work or run into unforeseen circumstances. Bringing some back-up cash can be a lifesaver. The amount depends on the person but we suggest stacking about 20.000yen. Some banks block foreign ATM withdrawals, be sure to check that your card is good to use before departing. 9.) Good entertainment – Exploring Japan will mean you’ll spend a good amount of hours on the train, just going from Tokyo to Osaka by Shinkansen takes about 3 hours. We recommend bringing something to keep yourself entertained, be it a good book, fun videogames on your phone or movie to watch on your iPad. Traveling with kids? Then this is a must. 10.) A personal set headphones or In-ears. A good pair of headphones can make a world of difference when traveling. When traveling on the train, close yourself off from all the noise around you, sit back, relax and watch the landscape pass by. If you’re in the market, consider a noise canceling headphone from Bose or Sony they’ll be a godsend on your flight to Japan as well. 11.) Powerbank – Electric juice, we can’t go without it. Bring a good power bank to charge your phone, tablet, Pocket WiFi and even your laptop on the go. Not all trains come with power sockets and you don’t want to be without charge when that perfect picture moment comes along. We recommend picking up a power bank with at least 10.000mAh to keep the juice flowing. 12.) Small backpack or travel bag, when going around Japan you’ll be sure to see many interesting items that you pick-up along the way. Bring a convenient travel back or a small backpack so you can easily carry your latest purchases with you and can leave your big bags at your accommodation. Try to pack light or at least don’t overpack. Read up on the season that you are visiting Japan and focus on that. The official guidelines for bringing luggage on the train in Japan are: “You may bring up to two pieces of baggage on board free of charge. For each bag the total of the length, width and height must not exceed 250 centimeters, the length must not exceed two meters and the weight must be no more than 30 kilograms.”.